“Never Judge a book by its cover” – Not just a saying. It is a hard hit reality when it comes to purchasing laptops and desktops. Laptops and computers are not constrained to what you visually see. They depend up how they perform. Especially if you are a coder or programmer, then you must understand that programming is not limited to coding, flowcharts, and algorithms. The efficient developer must need proper hardware, operating systems, and a processor. They are potential components to compose source codes and resolve or debug errors. We understand that they must compatible and have a user-friendly interface. However, the perfect approach for purchase is that there are many concerns to be satisfied to pick the best laptop for coding that assists you in transforming your ideas into reality. In short, standard laptop speeds up; boost the performance in the competitive world. It must have the potential to process various tasks which eventually enhance operational capability and productivity. To find the best laptop for developers, one needs to understand what his/her requirement. Have you figured out the ways to buy the best laptop for programming & coding? This article will guide you through. Decide on the operating system should be your first and priority concern, be it a laptop or computer. There are various options like Windows, iOS and Chrome book. However, depending on the utility you can go for the operating system. For instance, if you are a beginner, it is better to choose Windows over any other OS. If you want quality performance and have high profile tasks, then iOS makes the best choice. If you need a laptop for professional work like making presentations, using variable software, then chrome book is the right choice should be in the bucket list. The Form Factor is essential as you might have to carry them for your business meeting or any conference to pitch your coding. Decide whether you need a standard ‘clamshell’ laptop or a fully detachable hybrid 2-in-1 where you can use the screen as a tablet. Also, there is an option for a 2-in-1 convertible touchscreen laptop. These are basic forms in which laptops are available, and you can choose the right one. Pick up the appropriate size as per your needs, all though, the majority of laptops have 15, 14, or 13-inch screen sizes. However, if your budget is low, you can also get a few 11-inch laptops that not only cost you less but also use less space on your desk. On the other hand, if you are an avid programmer, you can even buy a laptop with a large screen size of 17 or 18-inch. Before you make any decision, decide whether they fill your purpose. Along with the size of the screen, you need to have a look at the quality of the screen. You’re gazing at the laptop display all the time, but at the same time ensure that its quality should be the best. Initially, ensure that it has an IPS display to experience better viewing angles & color precision. All the laptops have a different specification, but it is necessary that they will have to fulfill the basic needs like proper RAM, Hard Drive, and Processing Speed. For programmers, RAM is a crucial thing, and they determine the usage and capacity. The usual limit of RAM in conventional laptops is about 4GB which more than enough for ordinary operations. However, for programmers, coders, developers, and software engineers, it’s suggested to buy a laptop for programming with RAM of 16GB, but if your budget is not high, then 8GB RAM can also be the right option. For coding and programming, the developers have to contemplate getting a 256GB SSD; however, you can further receive excellent results from a 1TB extraordinary hard drive. The processing speed is an indispensable part. Hence you spend on an excellent deal of power filtering via separate folders & records. The vital concern you can save with high processing power is the period needed for the compilation of a program. It is merely a problem in case your responsibility is vast. If you ought to possess a laptop that eagerly adjusts your goal however much as could be expected, laptops with an i7 or i5 processor could be an excellent deal. For those who are looking to buy the best laptop for programming 2019, these are some of the basic aspects in which you can find and shortlist the ones you wanted to buy. However, take a look at the detailed reviews of the best programming laptops based on their configuration and advantages and choose the right one. 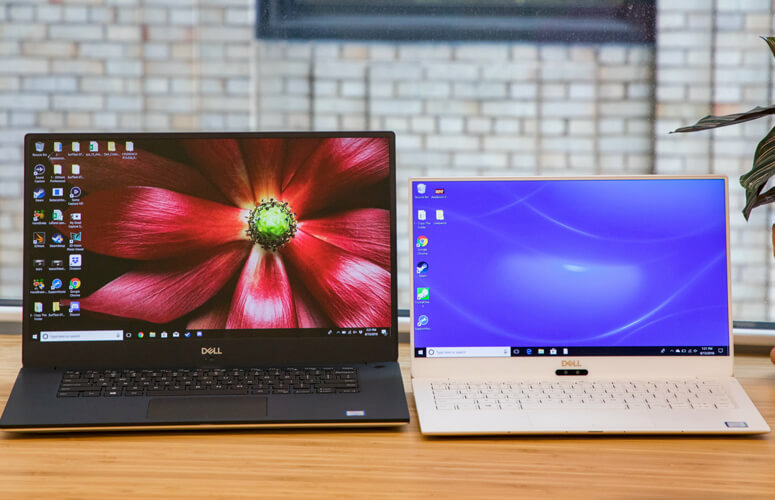 One of the most efficient and popular Dell laptop launched in 2018, the Dell XPS 15 9570 comes with 15.6 inches “InfinityEdge” Corning Gorilla Glass 4 display. It runs on the Windows 10 and has been powered by the Intel 2.2GHz Intel Core i7-8750H processor. The Dell laptop also has a 16GB of RAM and the graphics is managed by the Nvidia GTX 1050 Ti with MaxQ Design. The laptop has a splendid 4K resolution screen that provides excellent viewing angles. Nvidia GTX 1050 Ti attributes it, and the Intel processor works well in managing most of the games and regular tasks. With 16mm thickness, it is easy to carry and slip into any bag you want. The battery life of this laptop is also decent that help you run it continuously for at least 2.5-3 hours. Backlit keyboard and LED battery indicator provide more convenience to work in dim light. The Dell XPS 15 9570 is undoubtedly one of the best laptops for coding, but it can also help you play many games. The overall build quality coupled with splendid internal features and a mesmerizing screen, the laptop can easily be one of the best laptops for you to use at the office or home. You’ll be able to enjoy some excellent graphics and vibrancy because of the “InfinityEdge” display. An affordable and aesthetically designed laptop the ASUS Vivobook F510UA comes with Anti-glare, Full HD+, 15.6 inches of display that is usually unusual at this segment. The laptop has an 8GB DDR4 RAM and 1TB of HDD. You also get an Intel Core i5-8250U 1.6GHz (Turbo up to 3.4GHz) processor. However, there is no additional GPU installed in the internal hardware. The laptop offers an excellent display and colors. The laptop runs on the Windows 10 Home edition so compatibility in the future won’t be a problem. Excellent connectivity ports and outlets like the USB 3.1 Type-C (Gen1), USB 3.0, and Lightning-fast 802.11ac Wi-Fi. The laptop enjoys the significant speed and processing power because of the meticulous balance between these two hardware components. The laptop also has a chiclet keyboard for better convenience. If you are all right with 4.5-5 hours of continuous usage in one single charge and expecting a smooth, premium feel from a laptop, then this is the one. At a budget-friendly price, it can be a good investment. It is one of the best laptops for developers and because of the widescreen and seamless internal hardware, using it at home for a movie or while work will not be a problem. The Asus ZX53VW powered by the Intel i5-6300HQ processor and is coupled with Nvidia GTX 960 GPU that comes with 4GB of video memory. The laptop has a brilliant balance of performance between the GPU and the processor. It also comes with 15.6 inches of 1080p screen that has Anti-Glare protection. This laptop has 8 GB of DDR4 RAM that helps to achieve seamless speed for multitasking and intensive chores you carry out. One of the most significant advantages of this laptop is the battery life which can last up to 3.5 hours with a full charge that takes only 90 minutes. On the connectivity panel, you get the new Ultra Type C port for higher speed while transferring or receiving data. The two-tone theme and the light weight of the laptop allow you to carry an aesthetic laptop everywhere you want to go. The gaming performance is much better than most other laptops, and it can handle full HD+ gaming in high settings as well. 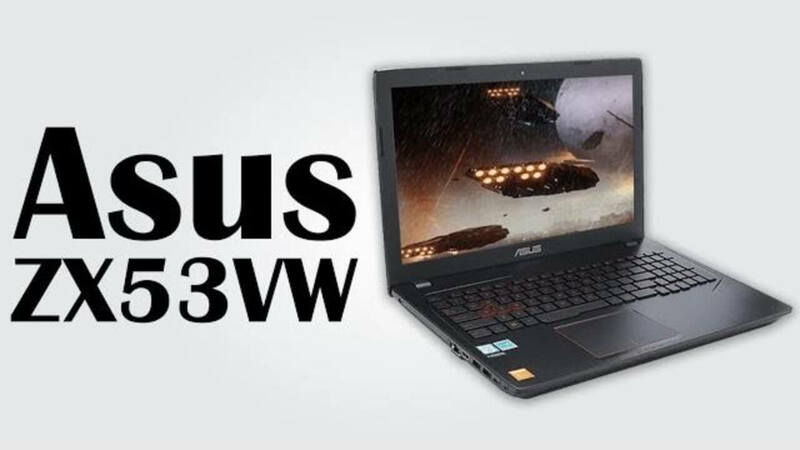 The Asus ZX53VW is undoubtedly one of the best laptops for coding in 2019. The laptop not only performs well in terms of gaming, but it also looks immaculate and slick. The laptop is brilliantly capable of rendering high-quality graphics without any drop in the frame rate or any noticeable stutter. So at an affordable price, it allows you to enjoy the latest games as well. The Apple MacBook Pro 13-Inch comes with 8th-gen Core i7 processor, 16GB of RAM which is splendid in real-world testing. The laptop has been built with the help of advanced technology and Aluminium is used to provide more protection. It has a Retina Display technology for better visibility. For better usage, there is a touch bar placed right above the keyboard. The laptop has been able to show blazing fast speed in real-world conditions and most importantly seamless multitasking without a second of stutter. Retina Display with True Tone helps to enhance the display quality and viewing angles of the screen. The speakers of this laptop are surprisingly really loud and clear. It has the fastest SSD that we have ever noticed on a laptop. It is also light in weight and slim enough to provide a sharp design. It also comes with Siri integration. 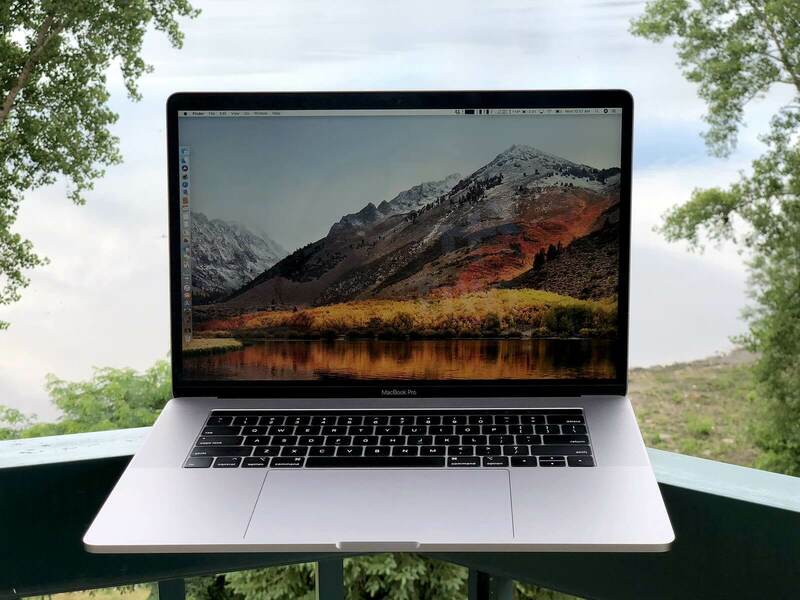 The Apple MacBook Pro 13 Inch is a good buy for those who want to carry out daily activities at the office or home without any stutter. However, in terms of gaming, it can be easily outrivaled by other laptops in the segment. It is a perfect and ideal laptop for casual or formal users. 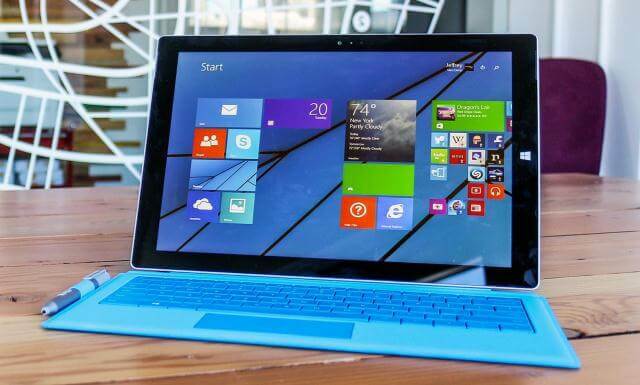 The Microsoft Surface Pro is one of the slimmest devices available in the market. It has the 1.9GHz Intel Core i5 4300U that is efficient enough and coupled with 8GB of DDR4 RAM that will surely set the bar high for multitasking and intensive chores. It has 256GB of HDD and runs on the Windows 8.1 version which is upgradeable to Windows 10 Home version easily. The Surface Pro has a screen size of 10.6 inches with good visibility. The Microsoft Surface Pro offers a brilliant and bright display which looks fantastic. It now comes with a Digital Pen which makes it very easy for you to draw and scribble in the Surface Pro. It has a brand new Kickstand that allows you to place the device in a comfortable position while watching a video or while drawing. The laptop has Dolby Atmos integrated into the speakers which gives out much clearer and immersive sound output. It has a battery life of more than 8 hours which is brilliant especially when you are traveling throughout the day. The Microsoft Surface Pro 3 is undoubtedly an attractive and alluring device which inevitably catches your attention. The battery life is phenomenal on this one. The inclusion of the Touch Pen is also an exciting addition which surely excites many people. So, it can surely be one of the best laptops for programming 2019 without any doubt. However, you cannot play high-end games on this device due to the lack of a gaming GPU. The Lenovo ThinkPad T470 comes with Intel i5-7200U CPU, 8GB of RAM and 256GB PCIe SSD which is more than enough for your daily productivity tasks. The laptop has a brilliant 14 inches of screen that are Full HD+, and it also has a 3-cell battery which performs with excellence. This device has an Intel HD Graphics 620 that can manage games at moderate settings. The most significant advantage of the laptop is the brilliant battery life which lasts for more than 15-hours. With a full charge cycle, you can be assured it will last more than half the day if you don’t play games. The Back-lit display is one of the best in the market. The design is sharp and sleek as well that gives a premium feel to the overall body. The affordable price tag is also beneficial for many people especially people in business who want a versatile laptop. The company had also included a Thunderbolt 3 port with a USB Type-C connector. 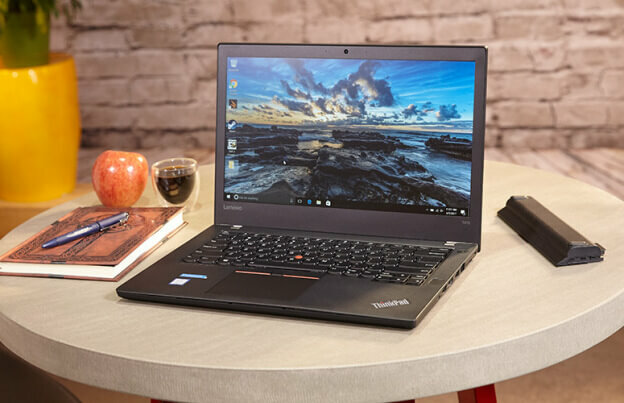 The Lenovo ThinkPad T470 is a perfect business laptop that assures you smooth battery life and versatile multitasking because of a well-balanced system. 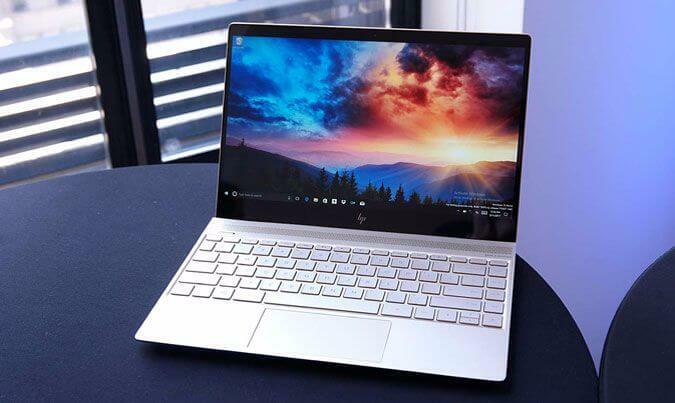 The connectivity features of this laptop are also well worth the money you pay, and therefore it is a good investment in the segment it is available. It can be one of the best laptops for developers who are required to work round the clock. Ports: 1HDMI, 1 headphone/microphone combo, 2 USB 3.1 Gen 1, 1 USB 3.1 Type-C Gen 1. The 13.3 inches 16:9 ratio Back-lit display has been placed on the HP Envy 13-AB016NR. Under the hood, you get Intel Core i5-7200U coupled with 8GB DDR3 RAM which helps to achieve excellent multitasking abilities. There is 256GB of onboard storage available to the users. The laptop features a pack of excellent connectivity options as well like the USB 3.1, HDMI and Display Port. The Kaby-Lake-based SoC with two CPU cores clocked at 2.5 to 3.1 GHz performs well in the real world conditions. Many of the mid-segment laptops do not come with Graphics cards, but this one has been integrated with an Intel HD Graphics 620. With its help, you can play moderately intensive games without any issues. The laptop comes with HyperThreading feature which improves the overall performance of the device by significant margins. The HP Envy 13-AB016NR is a true budget-friendly and affordable laptop that can be purchased to carry out daily multitasking activities. It offers sufficient speed and efficiency that allows seamless performance. The battery life of the laptop is around 7-8 hours which is ideal for those who are traveling throughout the day. It is indeed one of the best laptops for coding. 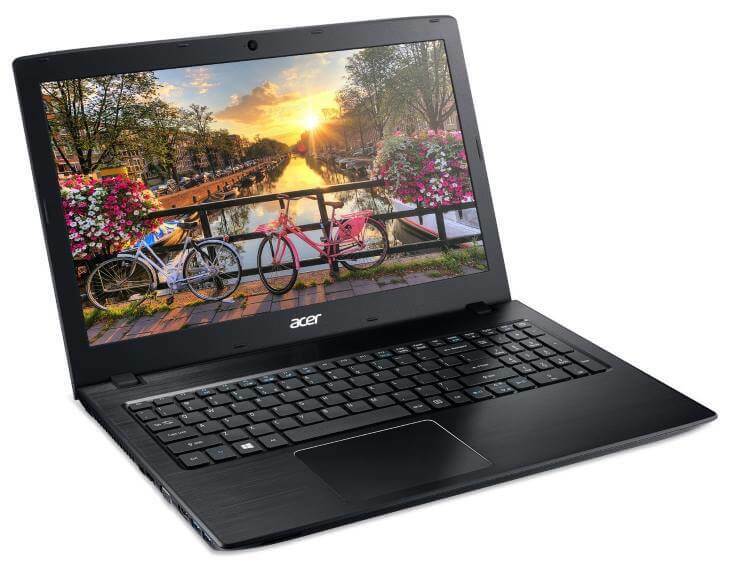 The Acer Aspire E 15 E5-575G-57D4 comes with a 15.6-inch screen which looks bright and sharp at 1080p full HD+ resolution. The audio channels of the laptop are integrated with Dual stereo True-Harmony technology which provides vivid sound experience. The laptop also has Nvidia GeForce 940MX GPU to manage and support all your gaming needs. It has an 8GB DDR4 Memory and inbuilt 256GB SSD. It runs on the Windows 10 PRO and has an Intel Core i5 (7th Gen) Processor. One of the main advantages of the laptop is the rich battery life (6-cell lithium-ion battery) that can last up to 9-10 hours. It takes only 3-hours to charge fully. The Nvidia GeForce 940 is a mid-range GPU that can help you play games with moderate settings and visuals. It has Bluetooth 4.2 integration which helps the users to connect their mobiles devices with the laptop quickly. The Acer Aspire E 15 is a versatile laptop which comes with an excellent ComfyView LED display. It has a more than satisfactory battery life that keeps you active throughout the day. The Intel processor is capable of managing most of the tasks you carry out regularly. If you don’t want to game a lot, then this can be your best deal. Available under the price tag of $600 this laptop can surely be one of the best laptops for programming. The Samsung Notebook 9 PRO is available in two different variants – 13 inches and 15 inches. It is powered by the 2.7GHz Intel Core i7-7500U and 16GB DDR4 RAM which are capable of producing excellent results. The 13 or 15 inches of the display comes with FHD LED display and Touch Screen panel. The 720p HD Camera is a brilliant upgrade from other previous generation webcams. The laptop has an AMD Radeon 540 GPU for standard gaming support to the users. The Samsung Notebook 9 PRO has a pure Aluminum Chassis finish which not only looks great but gives a robust feel as well. The device also comes with the Samsung S-Pen which offers better convenience to the user while writing notes or drawing. The 16GB of RAM is enough for multitasking, and the Intel Processor with AMD GPU allows the users to get an average gaming experience without any hassles. The laptop surely has a Type-C port and comes with 7-hours battery life. The Samsung Notebook 9 PRO is undoubtedly one of the best hybrid laptops available in the market which is also one of the best laptops for developers. It has a sturdy and robust aluminum build quality. The display is bright and phenomenal just like Samsung’s smartphones. The battery life is not the best we have seen so far, but it is undoubtedly going to help many people carry out their daily routine throughout the day. Under the hood of the Toshiba Protégé Z30-C-138, we can find 2.6 GHz Intel Core i7-6600U and the Intel HD Graphics 520. An 8GB DDR3L 1600 MHz Memory manages the multitasking tasks of this laptop. The processor also comes with the Turbo Boost technology that helps to improve the performance of the overall system by significant margins. The onboard storage is of 256GB that serves most of your storage needs. The laptop has Full HD webcam with Dual Microphone vent for better audio quality. The 13.3-inch Backlit display helps you to get brilliant viewing angles. There is a wide array of several ports for connectivity available in this laptop for better convenience. It has a stable battery life of more than 7 hours which is much more than the other Ultrabooks available in the market in this segment. The laptop also has a fingerprint sensor for unlocking the device with more enhanced security. 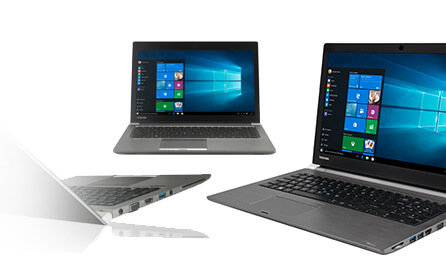 The Toshiba Protégé Z30-C-138 is undoubtedly one of the best laptops available under $1500. Exciting features like the fingerprint sensor and long term battery life surely makes it one of the best laptops for coding. It has a vibrant display and comfortable Backlit keyboard. The durability and enhanced security will surely impress any businessman. 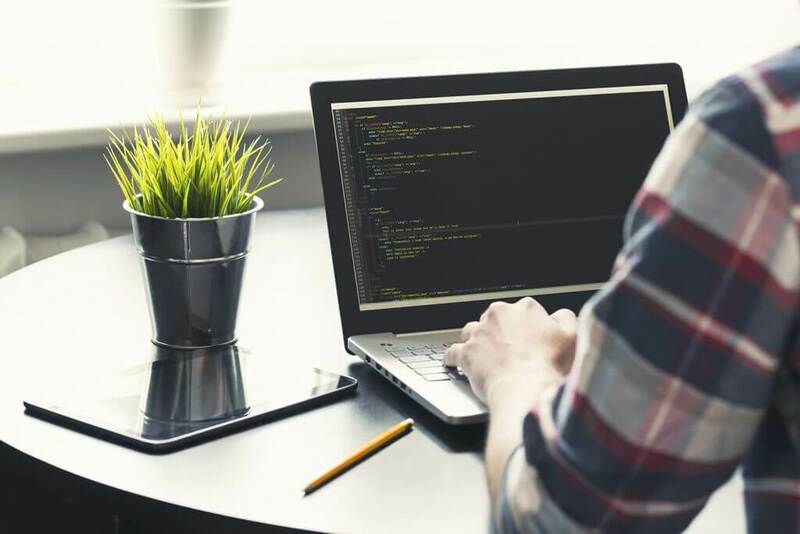 The laptops that programmers and coders use in their daily life play a significant role in determining their performance and how productively they are executing their tasks. Here we have discussed above some of the most powerful and best laptop for programming 2019 under all budgets and at various configuration as per the unique needs of multiple users. We have included all the latest laptops that are perfect for you no matter you are a beginner or a professional coder. The choices of the users vary as per the product configuration brand as well as the operating systems, that’s why we have included here the laptops with all the major brands and operating systems with the best configuration and features to make the users get a perfect guide to make their mind to have their laptop.